As a user of the POEditor localization platform, you can have the following project roles. This is the user hosting the localization project. Owners have all the possible privileges in the localization projects they've created, because the strings stored in these projects are counted against their account's limit. An admin is a POEditor user appointed by the project owner to manage the translation and localization process. Admins can be added in Project Settings, and can do almost everything the project owner can in the localization project, with a few exceptions: they can't delete the projects they're managing or add/delete other administrators to/from them. Also worth noting is that they can't access the integrations page or purchase a subscription to increase the localization project's string limit (unless the owner also sets them as Alternative Payer for their account). This is the translator's role. Contributors can be added to the localization project by the onwer or by an admin in the Project page or in the Language pages, and they will only have access to the languges they were assigned to. Self-enrollement is also possible when the localization project is public. 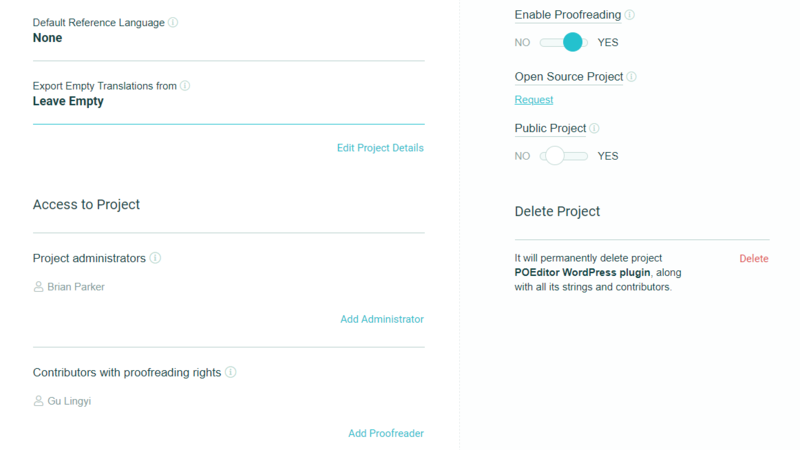 Some of the options contributors have available can be moderated in Project Settings, where they can also be granted Proofreader rights. 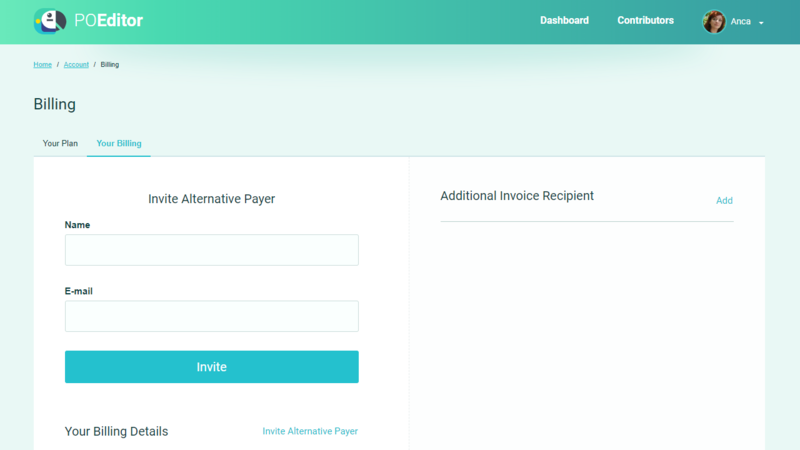 Alternative payers are POEditor users who were invited by another user to pay for their account and accepted. They're not required to have any of the above roles in the localization project and can pay for more than one account. Payers will get a new tab in their account's billing section for each account they agree to pay for.